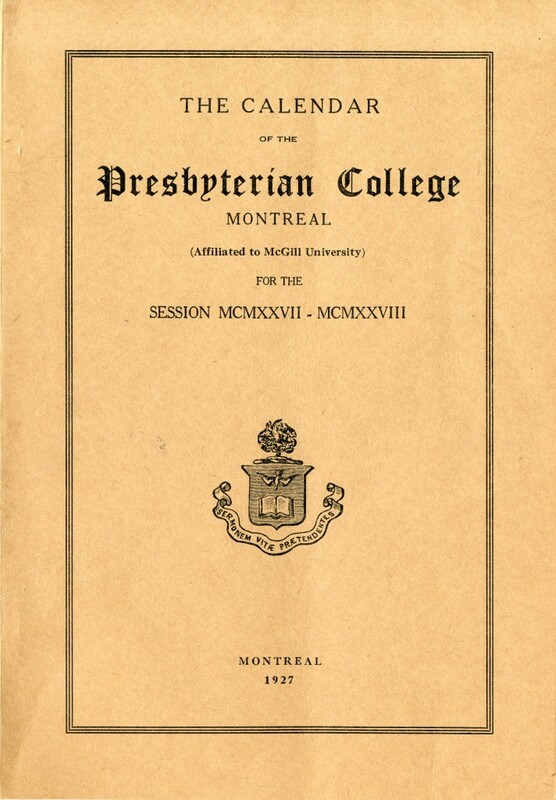 In the last year of the First World War Presbyterian College would serve as a military hospital for wounded soldiers returning from war. 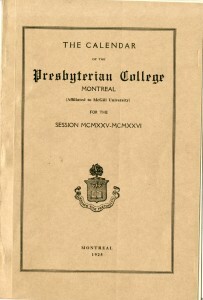 The College saw it as a good way to raise funds which were needed at this point in its history. 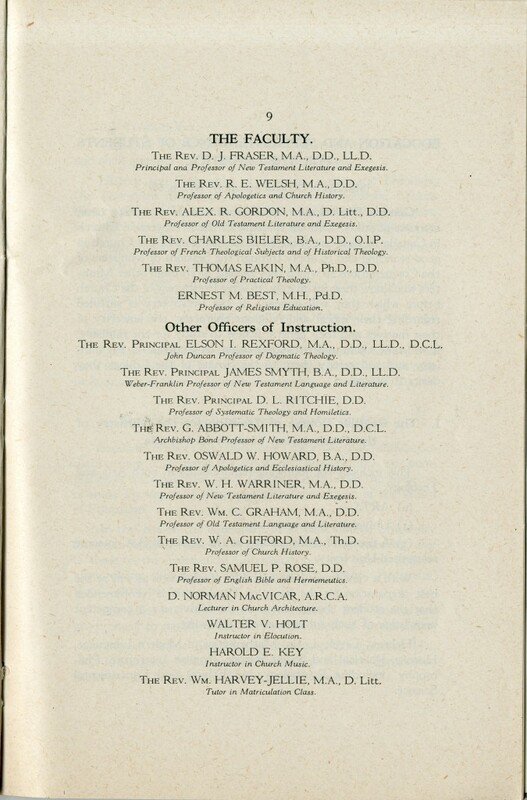 Enrolment was lower during this time period because many young men left to fight overseas, and the General Assembly was in full support of the war effort, draining the supply of people who could study for the ministry. 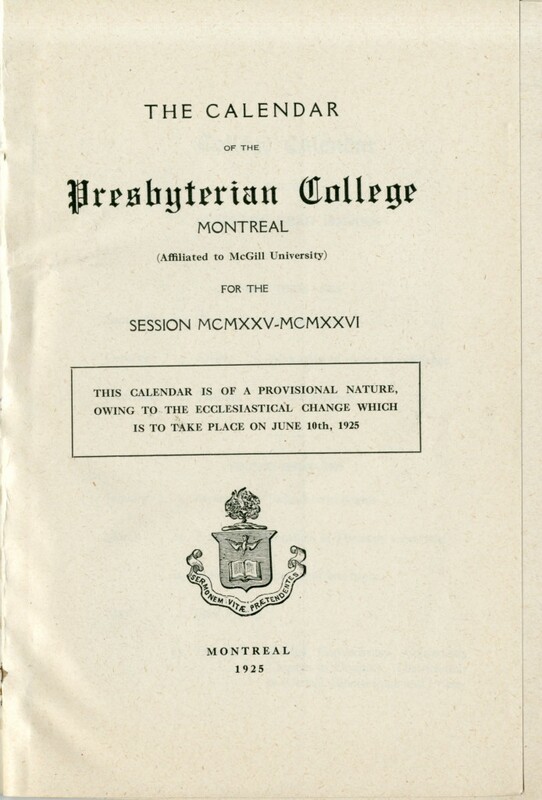 Church Union would also be a rough period of time for The Presbyterian College. 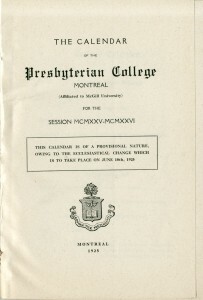 The College would lose many of its students to the United Church: 7 out of the 12 students enrolled in the College would stay on to continue at The Presbyterian College. 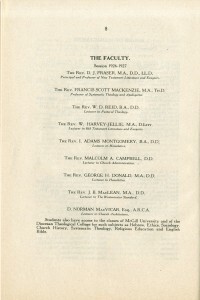 The Presbyterian College lost most of its faculty; however Principal D.J Fraser would stay on, as would Thomas Eakin. Both were leaders in the Anti-Union movement and Eakin would go on to become the Principal of Knox College in 1926. 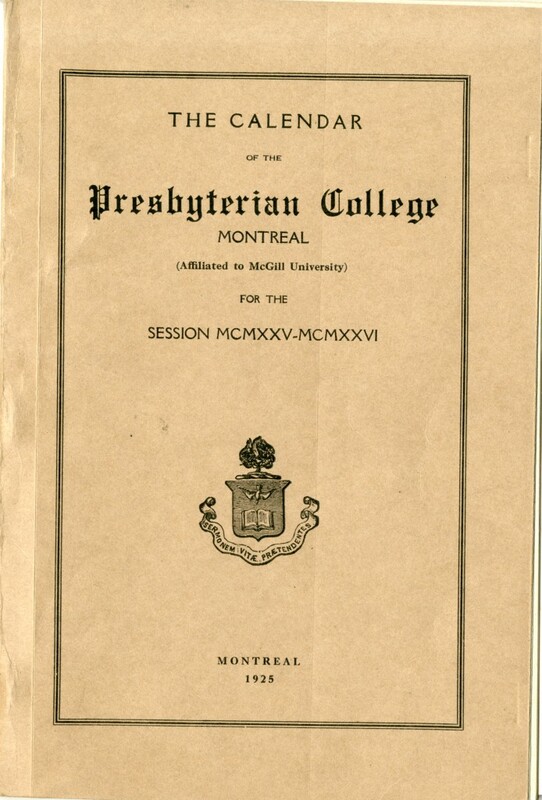 Presbyterian College was initially transferred to the United Church of Canada, and the Principal of The Presbyterian College, D.J. 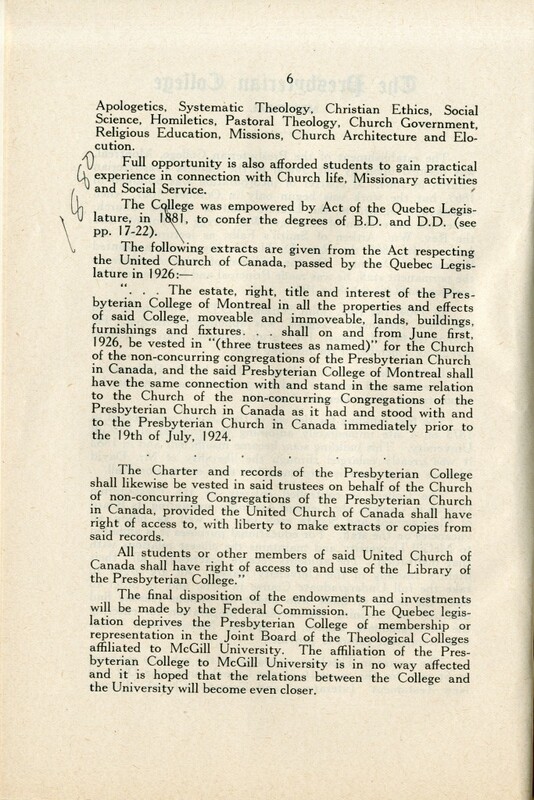 Fraser, would actually be barred from entering his office, which now was occupied by the United Church’s Board of Management. 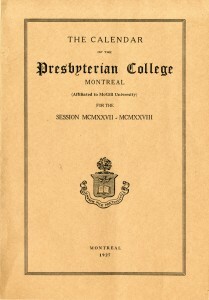 This decision would be reversed in 1926 when the Quebec Legislature would award the College to The Presbyterian Church in Canada. 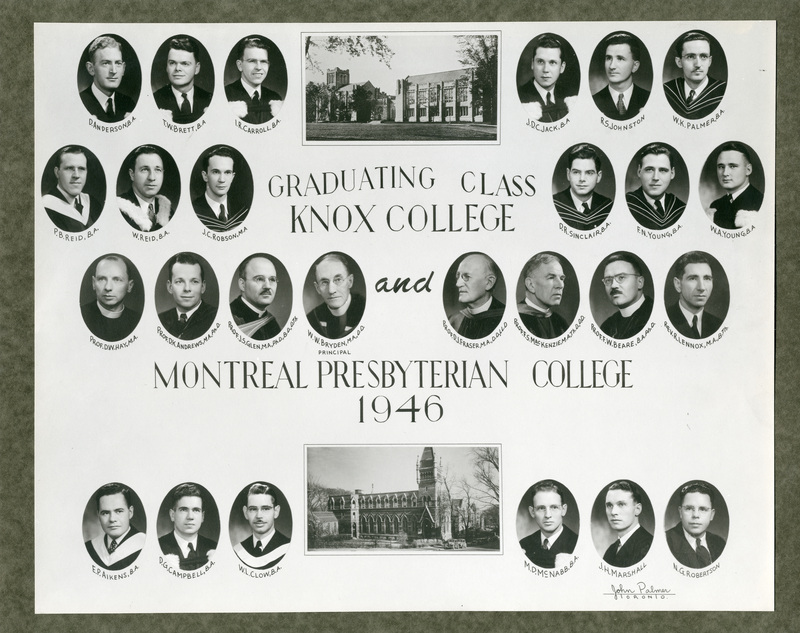 Following Church Union the College had to replace its entire faculty except for Principal Fraser who was the only Faculty member who stayed on, as Eakin had gone to Knox. 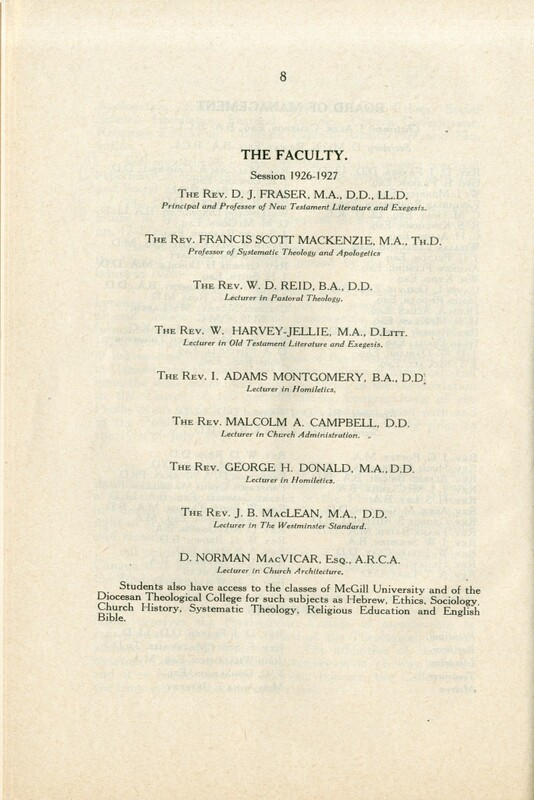 In 1926 Dr. F.S Mackenzie would be appointed to the Chair of Systematic Theology and Apologetics, Dr. W.D Reid was appointed to teach Pastoral Theology in 1927. The College would use several different lecturers during this period until the faculty became more stable. World War II would once again see the College re-purposed as a military hospital from 1943-1946. 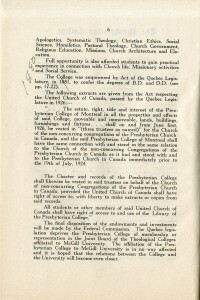 The College would once again rent the building to the government. 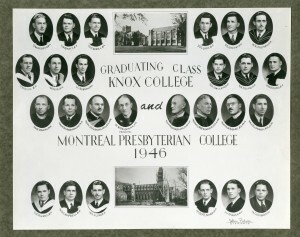 During this time all of the students and faculty had to share Knox College. Many contemporaries of the era jokingly referred to this time period as “the Babylonian Captivity”. 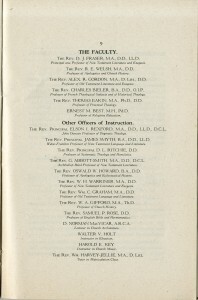 The College would be run by several acting Principals during this time period.